Saudi Arabia “once grew so much of the grain that its exports could feed Kuwait, United Arab Emirates, Qatar, Bahrain, Oman and Yemen. 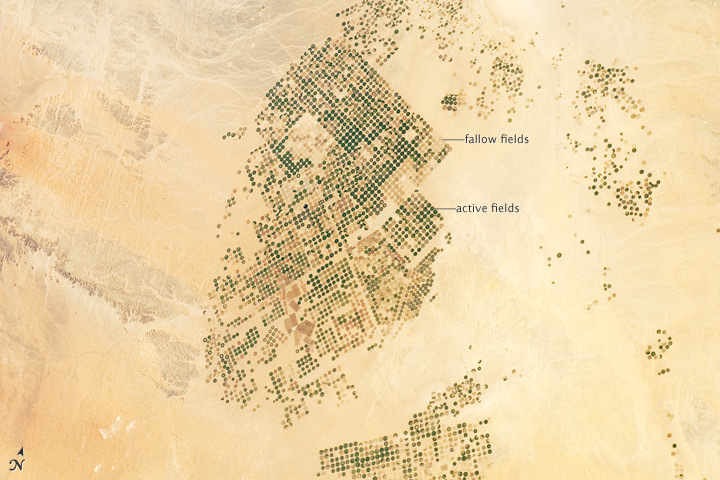 The circular wheat farms, half a mile across with a central sprinkler system, spread across the desert in the 1980s and 1990s, visible … as green spots amid a dun sea of sand. Commentary: many farms in the midwest and western USA also depend on mined water from rapidly depleting underground aquifers.